Washington (AFP) - A large majority of Republicans approve of President Donald Trump's handling of his Helsinki summit with Russia's Vladimir Putin despite most Americans disapproving of his performance, according to results from polls released Thursday. The dramatic party-line break in the surveys by CBS News and Axios/Survey Monkey highlight the unwavering loyalty many Republicans have for the president, regardless of how Trump's widely criticized actions are interpreted by others more broadly. 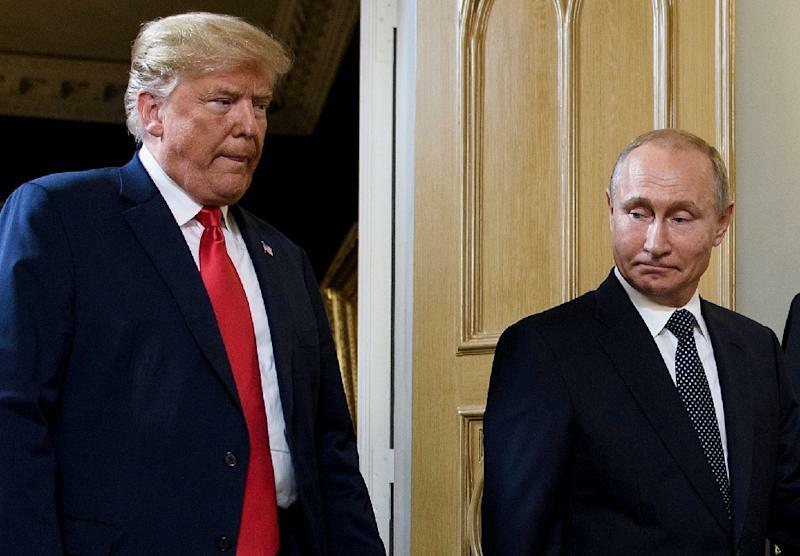 While just one third of Americans -- and eight percent of Democrats -- approve of Trump's handling of the Putin summit, fully 68 percent of Republicans approve, according to the CBS poll. It also showed that while 70 percent of Americans overall believe US intelligence assessments that Moscow interfered in the 2016 elections, Republicans are more skeptical, with 51 percent believing that Russia meddled. Another poll, by Axios, showed Republican support for Trump's handling of his press conference with Putin at a whopping 79 percent. Forty percent of respondents overall approved, while just seven percent of Democrats did. Trump was severely criticized for failing to challenge Putin, a former KGB agent, during their joint press conference -- a performance US lawmakers from both parties deemed dangerous and an embarrassment. But Trump has repeatedly branded his Putin powwow a major accomplishment. On Thursday he tweeted: "The Summit with Russia was a great success, except with the real enemy of the people, the Fake News Media." The Axios poll was conducted online, between July 16 and 17, immediately after the summit and the joint Trump-Putin press conference, among a total sample of 2,100 adults in the United States. It has a margin of error of plus or minus three percentage points. The CBS poll was conducted July 17 and 18 among a random sample of 1,007 adults nationwide, with an error margin of plus or minus four percentage points.